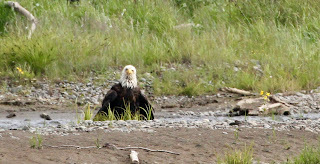 Christina Sea: Alaska, the rest of the story - Ninilchick Beach on the Kenai Peninsula - eagle bath time! Alaska, the rest of the story - Ninilchick Beach on the Kenai Peninsula - eagle bath time! Ninilchick Beach, a spot we had heard was great for out of the way camping, but turned out that they no longer allowed camping on the beach. So we went for a walk and saw an amazing sight! Two adult eagles, maybe the parents, one of which was taking a bath in a river stream that led out to the ocean. 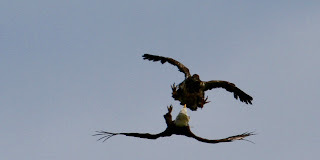 The other adult eagle was "standing guard" while they both summoned a young eagle to join them. It was so cool watching this as we crouched low to the ground just on the other side of the flowing water. 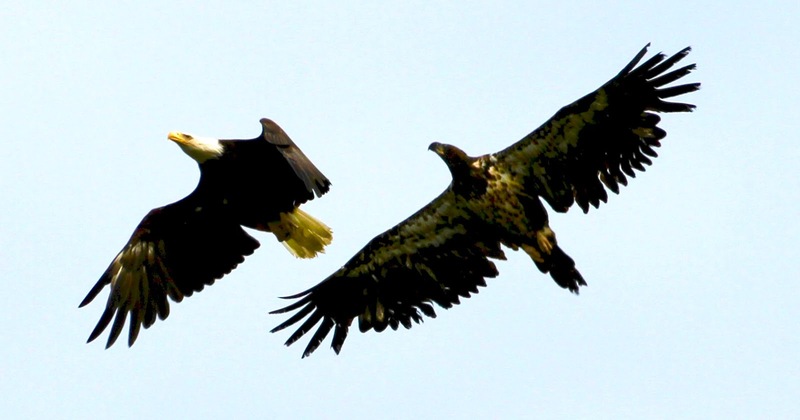 Meanwhile, in the air, there were other young eagles that were "practicing or playing" their acrobatic mid air tricks and tumbles. 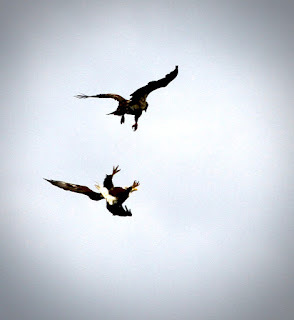 It was quite an afternoon of eagle entertainment! 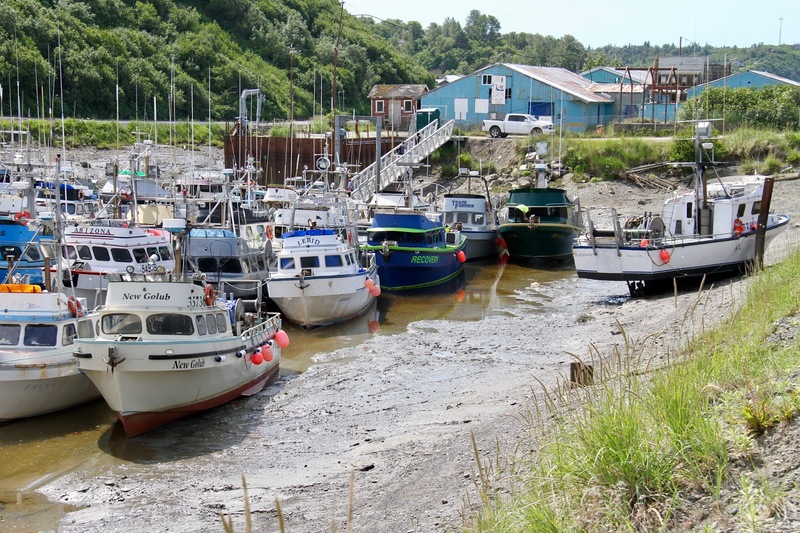 Tidal changes in the area are sometimes 20 feet - so it's normal for these guys to sit in mud! 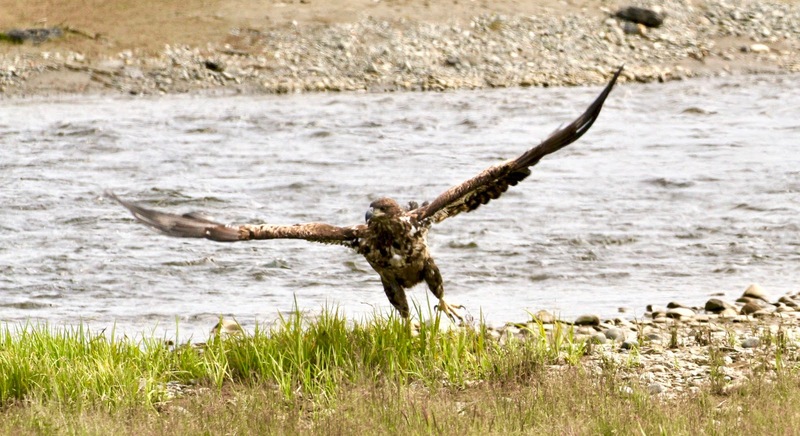 When the young eagle was finished playing in the water, he took off to play in the air! 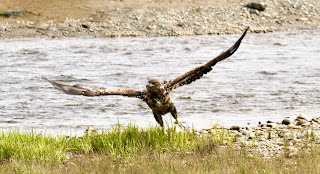 Assuming this is mom, she was soaking wet when she got out - we don't think she could fly!